Join us during Wakefield Artwalk for a presentation of works developed throughout the run of our Magdalene Odundo: The Journey of Things exhibition. Produced by ESOL students from Wakefield College in collaboration artists Khadijah Ibrahiim and Rheima Robinson, the students have developed creative responses to the exhibition, drawing on their experiences of migration, place and the objects we value. Attendees receive a complimentary soft drink from The Hepworth Café after the event. This project has been developed in collaboration with the Geraldine Connor Foundation. 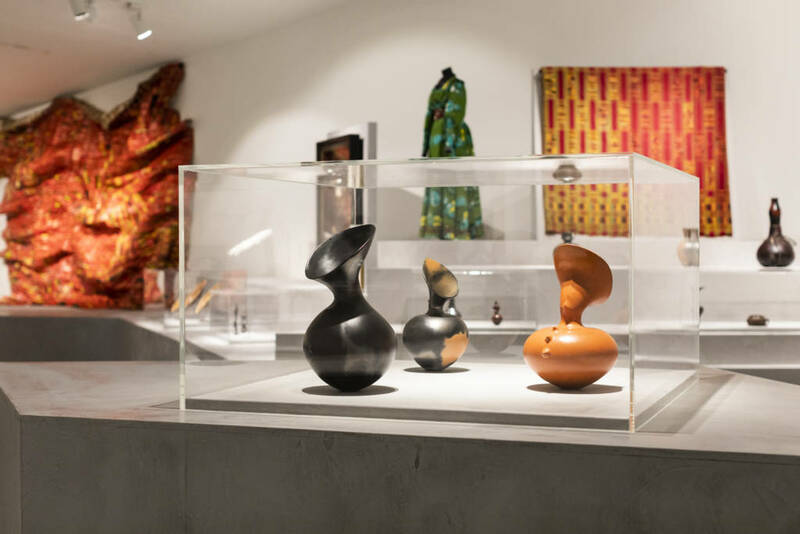 If you have any questions or special requirements then don’t hesitate to get in touch by emailing events@hepworthwakefield.org or calling 01924 247376. You can also book your free place at the Welcome desk. If you book a ticket but are unable to attend please let us know by emailing us here.